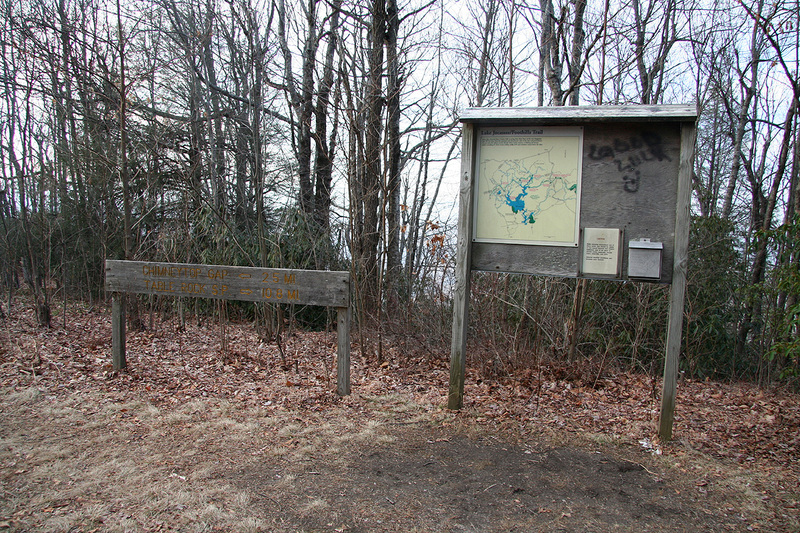 How to get there: Sassafras Mountain is the highest point in South Carolina. The location is actually on the border to North Carolina. From the south (Atlanta) one can drive Interstate 85 north-east (direction Greenville), then take Hwy. 178 38 miles (61 km) north. Hwy. 178 crosses the border into North Carolina. The very last named place before the border is Rock Bottom located about 3 miles (4.8 km) south of the state line. In Rock Bottom, there is a sign on your right hand side reading: "Rocky Bottom Retreat and Conference Center of the Blind", turn right on this road and drive uphill. After a few miles, this road forks. Keep right (continue uphill) until the road ends with a pretty good sized parking area on your left. Park here, this is the trailhead, location N35:03.870, W082:46.577, elevation 1071 meter. If you come from the north, then locate Hwy. 64 that runs east-west just north of the border in North Carolina. Follow this road to the small place called Rosman and turn south in order to cross the state line and find Hwy. 178, described above. The distance from Hwy. 64 to the state line is approximately 7 miles (11.3 km) and Rock Bottom is another 3 miles (4.8 km) south. Route description: From the parking, it is obvious how to walk the few meter uphill to the highest point. Comments: After my long, but somewhat unsuccessful hike in the Appalacian hills, I was back at Hwy. 64 and needed to drive to Atlanta. A quick glance at the map revealed that driving a few more miles east on Hwy. 64 would get me to the State Highpoint of South Carolina. This seemed quite worthwhile, in particular, if I could get there before dark and with the assumption that the hike would be suitably short. Without any further hesitation, I started out and arrived at what I hoped would be the right place by 1830. The "hike" took only 5 minutes, and to my delight, I could verify that I had indeed located the state high point. I returned to the car by 1845 and then drove directly to Atlanta. 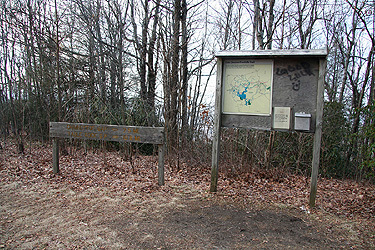 The summit of Sassafras Mountain. 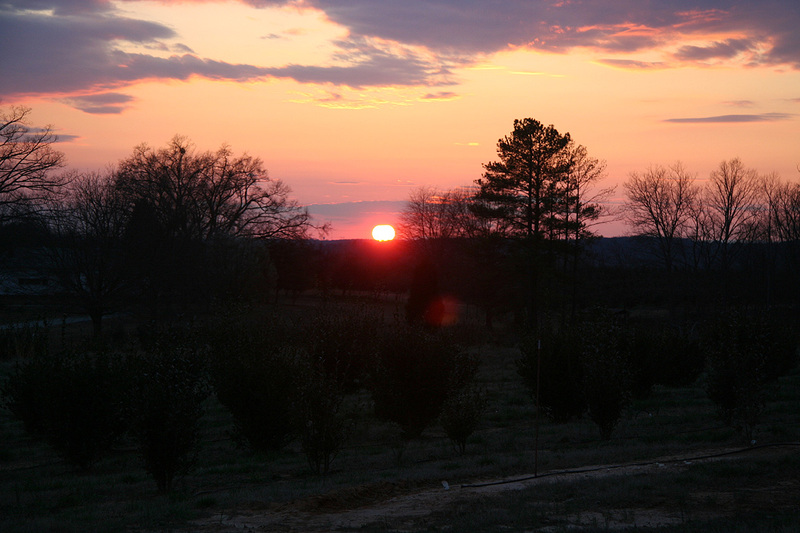 Sunset, after leaving Sassafras Mountain and driving south on Hwy. 78 on my way to Atlanta.